We are so excited to share news of a series of actions you can take this week to protect our most vulnerable-those who live on the streets and our youth. First, we have the first opportunity in decades to reduce that tremendous harm that Measure 11 has created in Oregon-please take just a moment to connect with the ACLU’s sign on petition to pass a series of bills that could frankly save lives. Second, we invite you to join with us on Friday to support Professors at Clark College who are fighting for a fair contract! One which will alleviate their present predicament of being exploited and misclassified as subcontractors! Finally, we have the opportunity to join a truly inspiring campaign that would set up teams of first responders to help the homeless in mental health and non-criminal crises without involving law enforcement. Among the many benefits would be appropriate care for the sick, injured, and mentally ill; reductions in jail stays, court time, and 9-1-1 calls; and a shift in police work to more community policing. 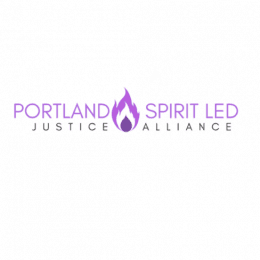 Securing funding for this thoughtful, compassionate and much needed approach is a top priority for Portland. And don’t forget our monthly opportunity to gather in power and in faith to worship and renew. We hope to see you Tuesday, April 16 at 7:00 pm for our Interfaith service at Grant Park Church, 2728 NE 34th. A reminder that this month we gather in the week before the holy convergence of Passover, Easter and Lailat al Bara’ah. Support Compassionate and Effective Responses to Teen Misdeeds! Research shows that young people have a great ability to grow and change. Restorative Justice principles invite those who have caused harm to be accountable, to understand the impact of their actions, to apologize, to take responsibility and repair the harm, to atone. Isn’t that the kind of world we want to live in? Where young people can learn how to repair instead of being incarcerated where rates of recidivism are proven to be high? For the first time in years, Oregon legislators will have the chance to vote on important policy updates such as ensuring that young people get a hearing with a judge before they are sent to adult prison. 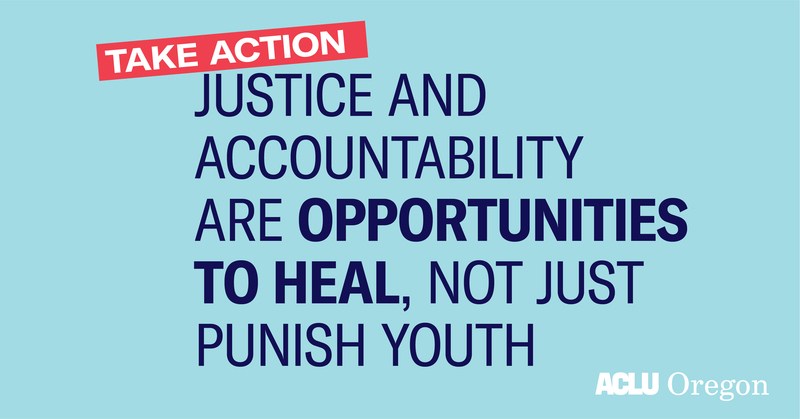 Implore our legislators to support needed changes to the youth justice system in our state by passing Senate Bills 966, 968, 969 and 1008! Read about the proposals and make sure your legislators hear from you! Support Professors Fighting Against Exploitation at Clark College! The Clark College Association of Higher Education in Vancouver has tried to bargain faculty salaries and other important issues for four months and has been largely ignored by administration that is unwilling to seriously negotiate with the union! Part-time faculty at Clark College are wrongfully classified as subcontractors, and earn about half of what full-time faculty earn! Support the Clark College faculty who will be taking action by sitting out of a required workday. They will be taking personal days and rallying outside the college instead! Join us and rally with them to let Clark College know the community won’t tolerate exploitation! Join the Portland Street Response Campaign! The following are steps to supported the plan created by Street Root’s for a new system of first responders – teams of firefighter-EMTs and peer support specialists with training in de-escalation who can respond with compassion to 911 calls about people struggling with homelessness and behavioral health crises. 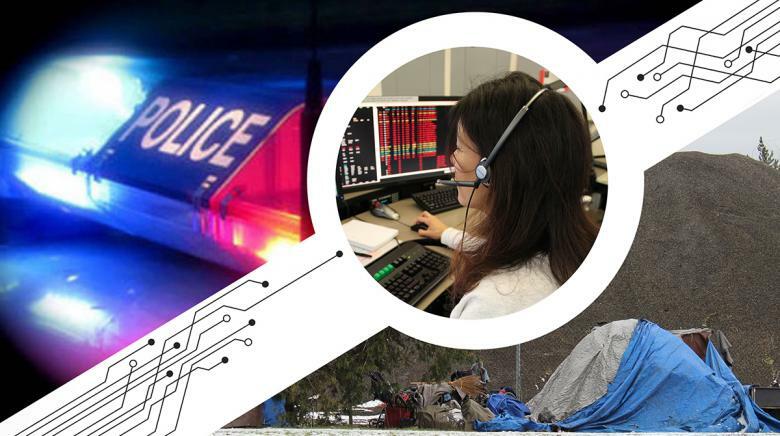 Ask the council to fund a position under the Bureau of Emergency Communications to begin developing a Portland Street Response. Remind them that we need a sense of urgency. Opportunities to get engaged will be updated here on a regular basis. You can also sign up for email updates that will notify you when the campaign has a planned action.